More dates available on request! Email requested dates and numbers for a bespoke group quote. The Great Glen Canoe Trail is now Scotland’s first formal Canoe Trail. Following the Caledonian Canal route from Fort William in the west to Inverness in the east, this sixty mile challenge has undergone development over the last few years due to the popularity of this fantastic canoe and sea kayak route. The Great Glen Canoe Trail sixty mile route includes twenty two miles of paddling on sections of man-made canal, with the rest on lochs – Loch Lochy, Loch Oich, world famous Loch Ness and Loch Dochfour. It is an ideal choice for your first multi-day sea kayaking expedition. Check out this short inspirational video from Scottish Canals! Guided group adventures available by request. Enquire today for a bespoke quote! 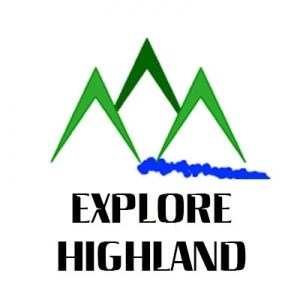 No one knows the trail better than Donald Macpherson, lead instructor with Explore Highland. Through his work with British Waterways Scotland as Canoe Trail Project Officer, he set up the formal Canoe Trail, and as part of this works written the Great Glen Canoe Trail Guidebook published by Pesda Press. Donald is a BCU 5* Leader and Level 4 Coach in open canoe, inland kayak and sea kayak. You can also watch our slideshow featuring photos from previous Guided Adventures in the Great Glen. For more details on these and bookings, please see our diary page or contact us. If you are interested in a bespoke Great Glen Canoe Trail adventure, Explore Highland can offer you a tailor made package. This could include guiding by top local guides in sea kayaking ranging from one to five days. Accommodation options are available for bespoke Canoe Trails depending on you requirements however they could including wild camping, use of commercial camp sites, local bunkhouses, B&B’s, local hotels or a combination. We have the local knowledge and contacts within the Great Glen and can make this trip work for you. Contact us to find out more! Explore Highland offer a range of services specifically for the Great Glen Canoe Trail to help experienced paddlers take on the Canoe trail. These include competitively priced open canoe and sea kayak hire for individuals and groups, plus a shuttle service for those taking to the trail with their own boats. We also offer a number of resources to experienced paddlers who may not be familiar with the area, landscape and the changeable environmental considerations. Contact us today to help support your next Great Glen Canoe Trail adventure!